These days, it seems like more and more models are achieving supermodel status. With their multi-million dollar contracts, endorsements and campaigns, their names and faces are instantly recognizable, whether you follow fashion or not. But have you ever stopped to wonder who the world’s first supermodel was? The first model whose image not only defined an era but also an entire industry? The answer to that question is hotly debated. The term “supermodel” was coined way back in 1943 (the time of Lisa Fonssagrives), but many models have since been named the first to truly rise to supermodel status. They’re stunning, they’re savvy, they’re sensational—which one of these models do you think is the world’s first supermodel? 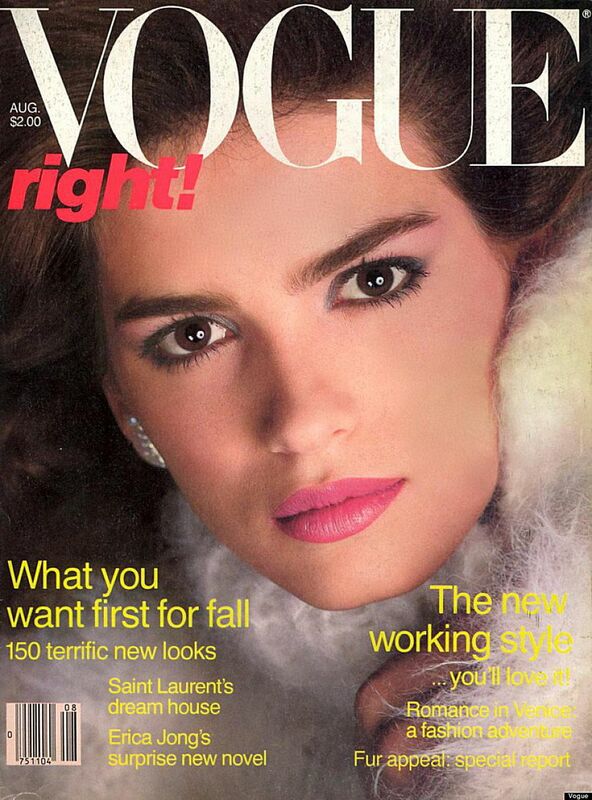 Gia Carangi is widely considered to be the first supermodel. Her strikingly dark good looks paved the way for a generation of supermodels (including Cindy Crawford, who was nicknamed “Baby Gia” due to her resemblance to the famous model). In the late 1970s, Gia was plucked from obscurity and immediately signed by Wilhelmina Models. Just a year later, she was already a well-established model and a favorite of top fashion photographers and magazines. Sadly, her meteoric rise to supermodel status was followed by an equally meteoric fall. She succumbed to drugs, eventually contracted HIV/AIDS, and passed away at the age of 26. Many models have claimed to be the first supermodel, but only one has actually claimed to have invented the word. Janice Dickinson says she coined the term in 1979 during a conversation with her manager. And there you have it! Evidence that Janice Dickinson may or may not have invented the term that defined her career. In Janice’s defense, though, her modeling career was rather spectacular. She’s appeared on the cover of Vogue more than 37 times, has worked with some of fashion’s best-known names, including Versace, Valentino, and Oscar de la Renta, and has been the face of major ad campaigns for Dior, Revlon, Max Factor, and more. Lisa Fonssagrives once described herself as “a good clothes hanger,” but she was much, much more than that. In the 1940s and 50s, this humble Swedish model was the highest paid and highest praised fashion model in the business. She appeared on the cover of many magazines, including Vogue, Time, Life and Vanity Fair, and worked with the top fashion photographers of the time, including George Hoyningen-Huene, Man Ray, Horst, George Platt, Irving Penn, and Richard Avedon. Lisa was never called a supermodel in her lifetime, but she’s now widely regarded as the world’s first supermodel.